Whether you want to explore on your own, join a walking tour, or attend a special event, the Garden is ready for you to discover its beauty around each corner. Your purchase of a membership signals an active role in promoting the conservation of our Florida habitat and tropical flora, access to youth and adult educational programming, and preserving a beautiful and inspiring space to enjoy our natural world – today and for the future. The Royal Palm Society is a way to support the Garden through annual gifts of $1,500 or more while enjoying our top benefits. This special group of dedicated patrons provides critical support to sustain our ongoing mission. 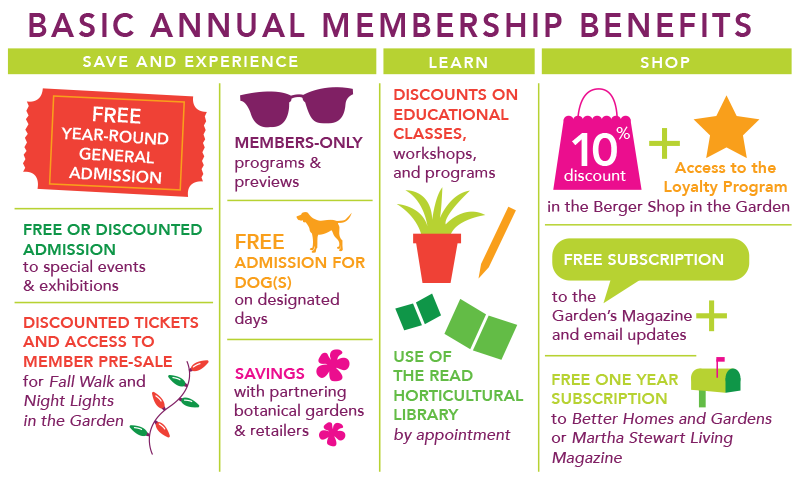 For more information about membership levels and benefits, including discounts for students and teachers, or gift memberships, Call 239.315.7293 or email membership@naplesgarden.org. If you would like to pay by transferring securities or would like to discuss other gift options, please call 239.643.7275 or find out other ways to give. Contributions are 100% tax-deductible. Complete the membership application and mail.